The social CRM world is too social. An overstatement? Perhaps, but the problem behind the plaint is all too real: Being social jeopardizes objectivity. In fact, "jeopardizes" is the wrong word — "obliterates" may be more accurate. Real relationships require real connections, which are anathema to detachment. There's no danger of a conflict of interests until you have genuine interest. And that brings us to Paul Greenberg, a man of many, many interests. You've no doubt crossed his path numerous times while he was in the midst of pursuing any number of them. There are, for example, his exploits in the expected roles of the independent consultant-author, presenter, panelist, columnist, blogger (several of which, it should be noted, he tackles on our behalf here at CRM magazine). What you may not know is how he's affected every corner and segment of CRM over the last 12 months — in a very real sense, perhaps, over the last 12 years. He's not just an author — he's the author of the industry's one true Bible. He's not just a blogger — he's a blogger at four or five different sites (with more to come). He's not just a panelist and presenter — he's also a moderator and an organizer of entire events. He's not just a consultant — he's a curriculum developer, a philosopher, and a mentor, enabling others to spread his wisdom and his influence. He's a lover of loyalty, an expert in experience — he lives as a customer the very issues he communicates as a consultant. The fourth edition of his landmark work, CRM at the Speed of Light, was published to great acclaim in December 2009. (An exclusive excerpt appears in the February 2010 issue of CRM, along with a one-on-one with Greenberg.) He's also responsible for what came to be known as The Stake in the Ground — a July 2009 blogpost that did as much as any single piece of writing to advance the conversation about social CRM. A single post only becomes that powerful because its author has sufficient currency to get people to listen, and to understand — and to want to contribute to and extend the conversation further. Thus was born what came to be known as the SCRM Summit — two of them, in fact — a gathering entirely of Greenberg's design that united the top thought leaders of social CRM from multiple continents. "Paul is a fantastic addition to the Hall of Fame," says Sheryl Kingstone, director of the enterprise research group at analyst firm Yankee Group. "His dedication and leadership in the industry are passionate and insightful." She's right, of course, but the reality is: We're all biased. We like Paul, and we're in no position to be objective about it. Social relationships are the reason why, and also the reason for his ongoing success. He's shown us all that passionate engagement is a plus. At the very least, he'll be giddy to see us not just willing to recommend him — Ah, Net Promoter! — but actively doing so. With or without bias, no one could possibly second-guess this selection. Paul Greenberg isn't just qualified for membership in the Hall of Fame — his absence 'til now called into question the whole enterprise. That's partly why we haven't expanded the Hall of Fame in several years. After inducting Ellison, Benioff, Goodnight, Gianforte — behemoths, colossi, gargantuans, one and all — the list of worthy contenders is quickly consumed. The desire to maintain the caliber of the roster meant almost no one else was worthy of joining the pantheon. "If there's anyone more deserving of this honor...," begins Brent Leary, cofounder of CRM Essentials. "Hold up. Who am I kidding? There's nobody even close to deserving this as much as Paul does. His knowledge, expertise, and passion for this industry are unrivaled, and only surpassed by his passion for the people in it." Citing Greenberg's "rare combination of vision, drive, and intuition," Esteban Kolsky, founder and principal of consultancy ThinkJar, says a long-ago nod from industry pioneer Tom Siebel deserves updating. "Siebel once said that Paul validated the market in the early days," Kolsky says, "but he's been building it and making it what it is today ever since. It's hard to imagine anyone working more tirelessly toward growing a bigger and better market than Paul, and hard to imagine the CRM market without him." "Beyond anything else? He's a good soul," says Denis Pombriant, founder and managing principal of CRM consultancy Beagle Research Group. "I was amazed when I found out he was an antiwar activist in the 1960s. I think that experience was seminal for making him sensitive to customers and how to deal with them. Paul cares about customers and wants the vendor community to care, too. That comes through in all of his work." And, with this long-overdue induction, Paul Greenberg doesn't just merely join the CRM Hall of Fame, but — like his effect on the CRM industry itself — he validates its very existence. 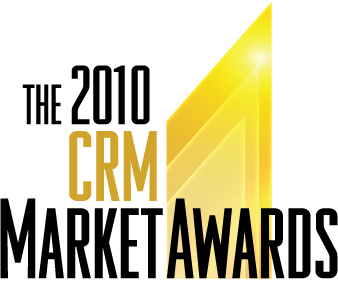 For the rest of the August 2010 issue of CRM magazine — and the rest of the 2010 CRM Market Awards — please click here.